Let us feed your guests! 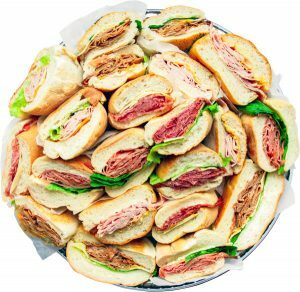 Our mouthwatering catering platters are perfect for every occasion. 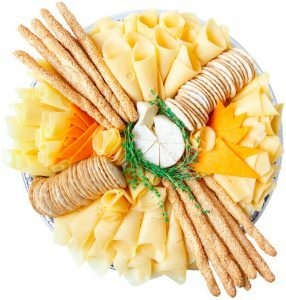 Made from fresh, high-quality ingredients, our European-inspired platters are sure to wow your guests. 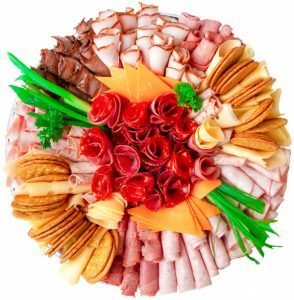 Choose from three different sized platters or customize an order based on your catering needs. Together, let’s create lasting memories one bite at a time! Sandwich trays are always crowd pleasing, whether you’re entertaining friends or hosting an office lunch. All of our sandwiches are made in-store with our delicious deli meats and cheeses from all over the world, served on our freshly baked breads. Alicia’s finest cold cuts: sliced roast beef, black forest ham, chicken breast, salami, smoked turkey. Garnished with cheese, spicy green olives and pickles. A beautifully arranged selection of the best cheeses available locally and from around the world. Served with crackers and bread sticks (upon your preference). A selection of traditional European treats: baked cakes, cookies and much more.